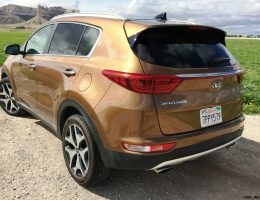 If you’ve read our other tests of Kia vehicles, you might remember that we’ve been noticing a distinctively German feel to these Korean Vehicles, much of it owing to the stewardship of Kia/Hyundai Honcho Peter Schreyer, who previously penned much of Audi’s goodness. 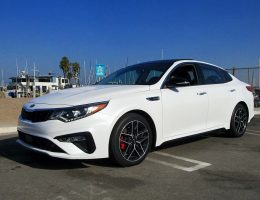 When we tested the Kia Optima SX we found loads of Audi-ness in the overall feel of the car. 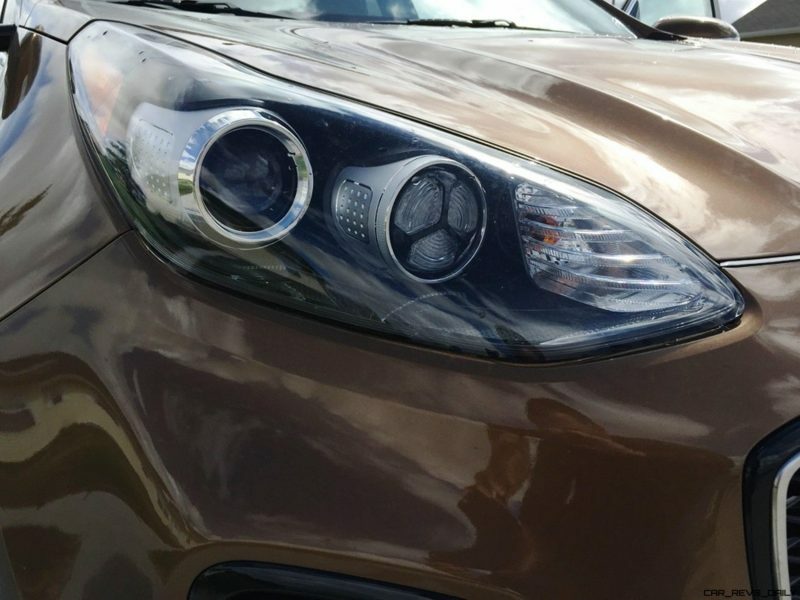 And now with the all-new Sportage SUV, we’re tasting hints of Porsche and BMW in the mix as well. 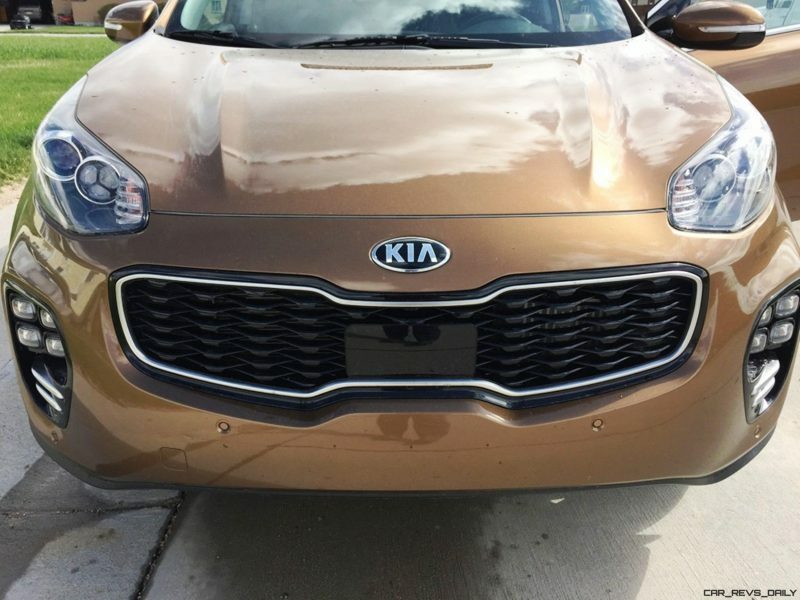 Has Kia created the Korean Kayenne? 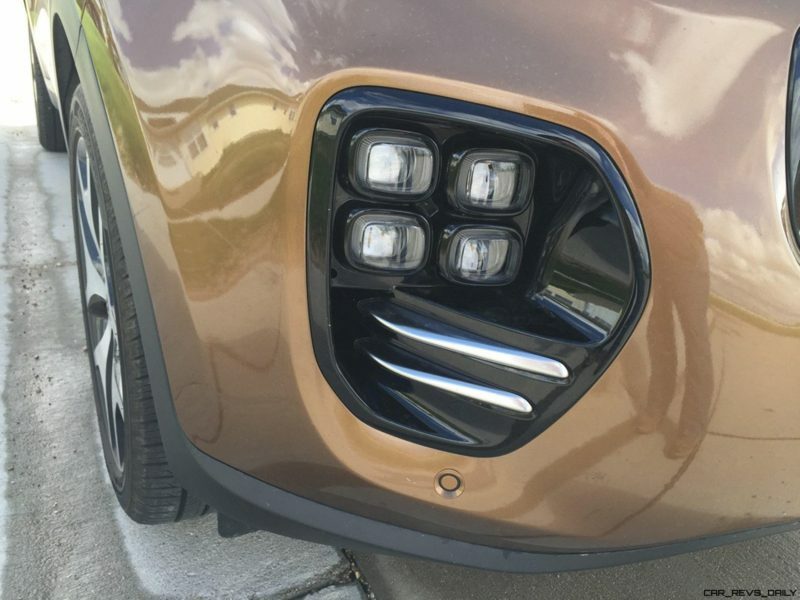 Well, from first glance, it will definitely catch Stuttgart’s attention. And a lot of others too. 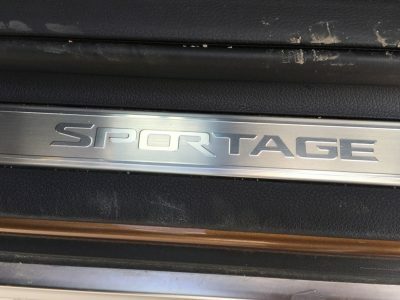 OK, so styling is up to your personal interpretation, but there have been some rude comments about Sporty’s snout – but you won’t find them from us. 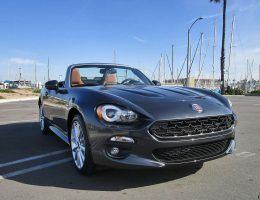 Add in a slightly longer wheelbase, and crisp aggressive lines, and this is one handsome vehicle. 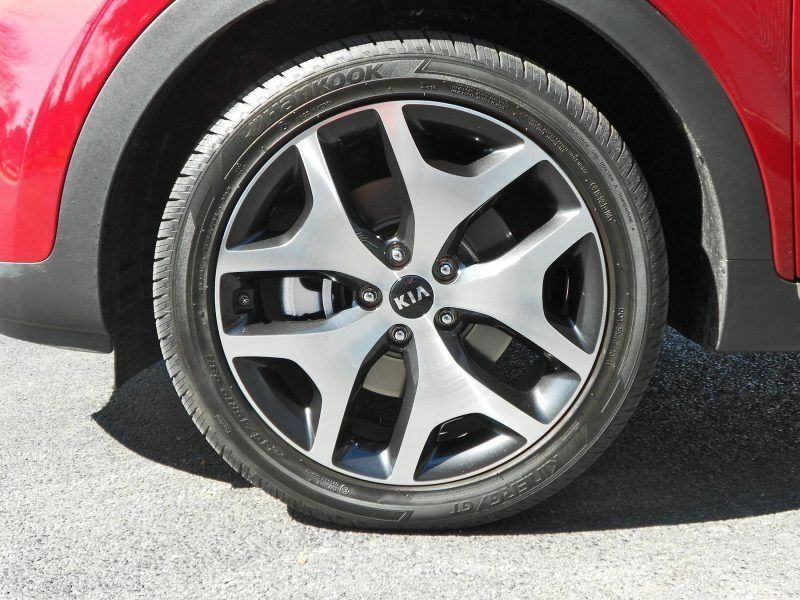 When you opt for an SX like our tester, you also get meaty 19-inch alloys that really help sell the looks. 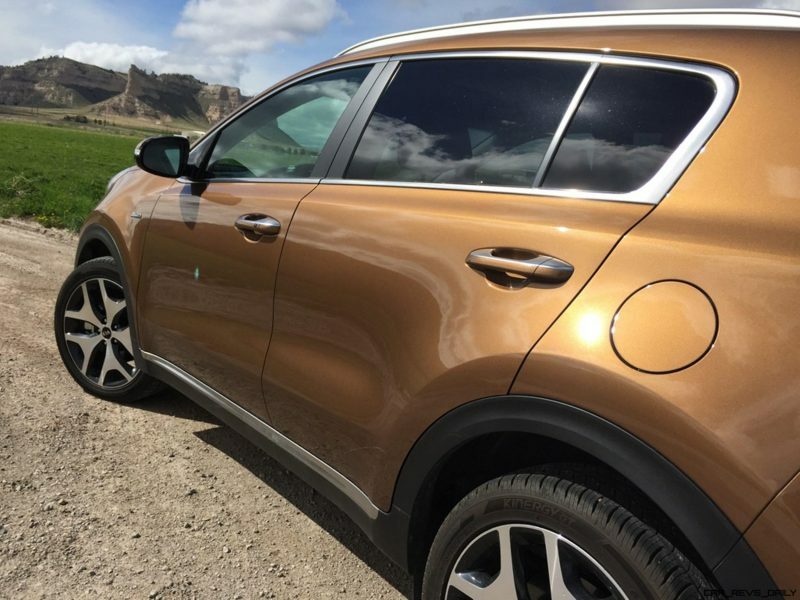 While many automakers are trying to reduce the control count down to zero, forcing you flail away at an LED screen, we like that the Sportage gives you individual switches thoughtfully laid out. Praise those that believe in Volume knobs for audio systems! 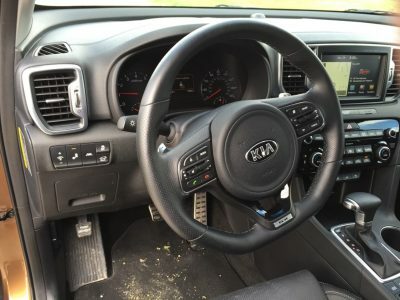 The steering wheel looks and feels notably Audi-ish with easy to manipulate remote controls, and the front seats have been reshaped for greater support. It’s a nice place to spend time. 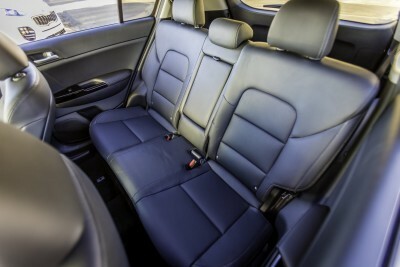 Being a top-of-the-line model, our SX also delivers the goods, with climate-controlled front seats, a huge panoramic moonroof, and a Harmon Kardon sound system, teamed up with 8-inch color touch screen with voice-command capability. 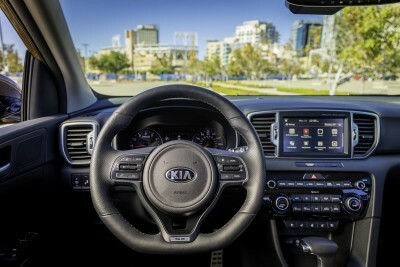 It’s all manage by Kia’s UVO info-tainment system that’s still one of the best in the biz – extremely user friendly. 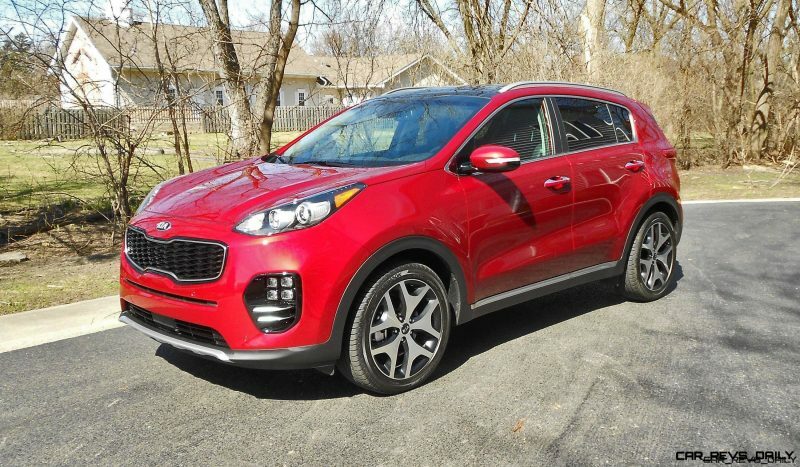 If you get more excited by practicality over prestige, the new Sportage will win you over with a more comfortable rear seat, and five additional cubic feet of cargo space. 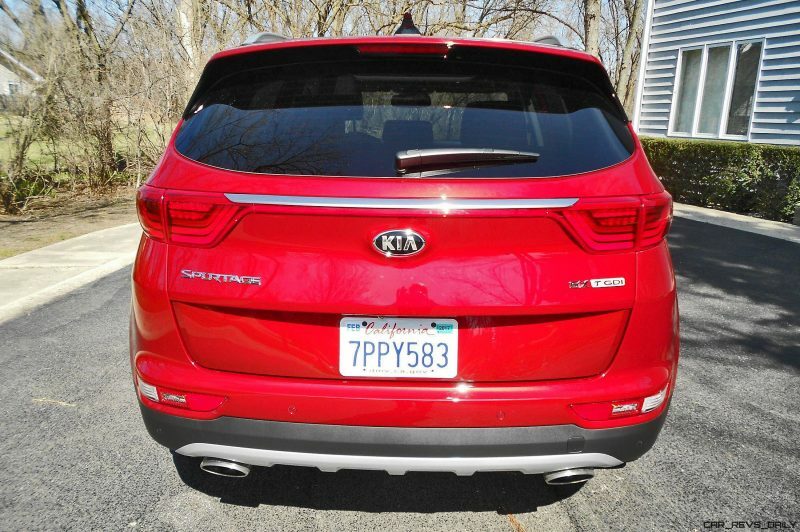 We especially liked the Smart Power Liftgate, that senses when you (ok, your keyless remote) are standing by the rear of the vehicle, and automatically opens the tailgate. So far, we have Porsche looks and Audi ambience. What’s next? How about BMW dynamics? (German reference three!) 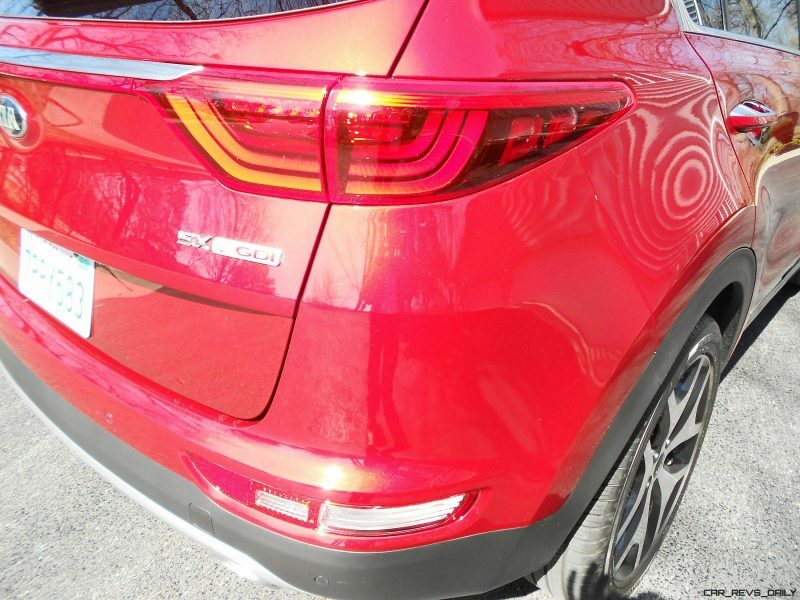 Driving our Sportage immediately reminded us of the current X3. 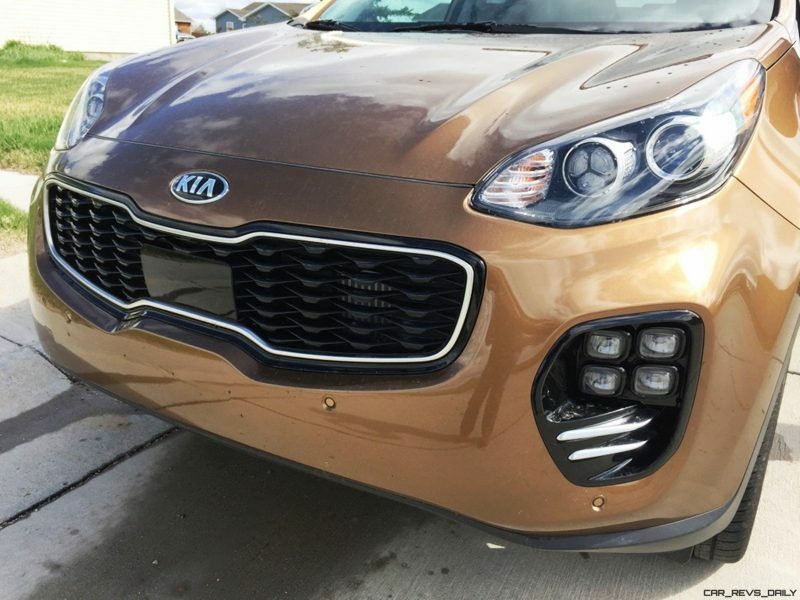 The overall packaging and performance feel like there must be a Bimmer hanging around at Kia HQ. Example: BMW – 2.0 liter 4-cylinder turbo, 240 hp and 260 lb ft of torque. 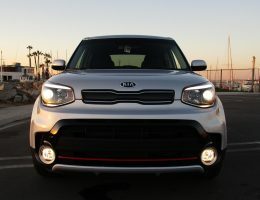 Kia – 2.0-liter 4-cylinder turbo 237 hp, 260 lb-ft of torque. Coincidence? Ha! Fuel economy shows this is a modern powertrain. 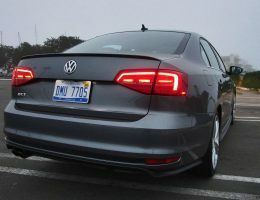 We averaged 24 mpg while keeping it mostly in Sport Mode which handsomely sharpens up throttle and shift response. Your mileage might improve in Eco or Normal. Since we are neither, we used neither. 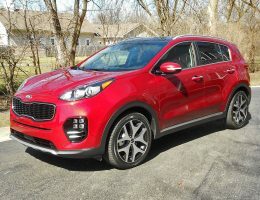 The BMW’s 8-speed automatic gives it a bit more punch than Sporty’s 6-speed, but the Sportage still hits 60 mph in around 6.7 seconds, half a second off the X3, but darn quick, and in the real world, the Kia’s torque surge above 3,000 rpm feels strong and vigorous. 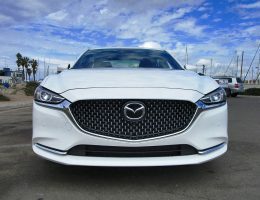 Maybe a little too strong – our front-wheel-drive tester’s steering exhibited a fair amount of torque steer under power, and would easily light the front tires with a heavy application of Old Boot. 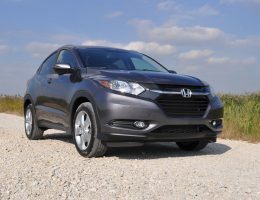 We’d probably opt for the all-wheel-drive model – you might lose a little mpg, but the chassis balance would improve. Either way, we found the retuned power steering to have notably good feel and feedback. 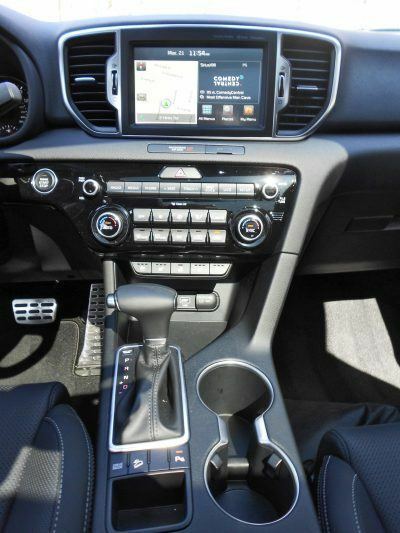 That’s a real plus, as some of Kia/Hyundai’s systems remain woefully wooden in feel. Outside of the steering, there’s also a pretty impressive chassis. 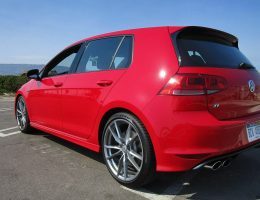 For the new model, considerable stiffening means the suspension can be tuned for more compliance without making it a marshmallow. 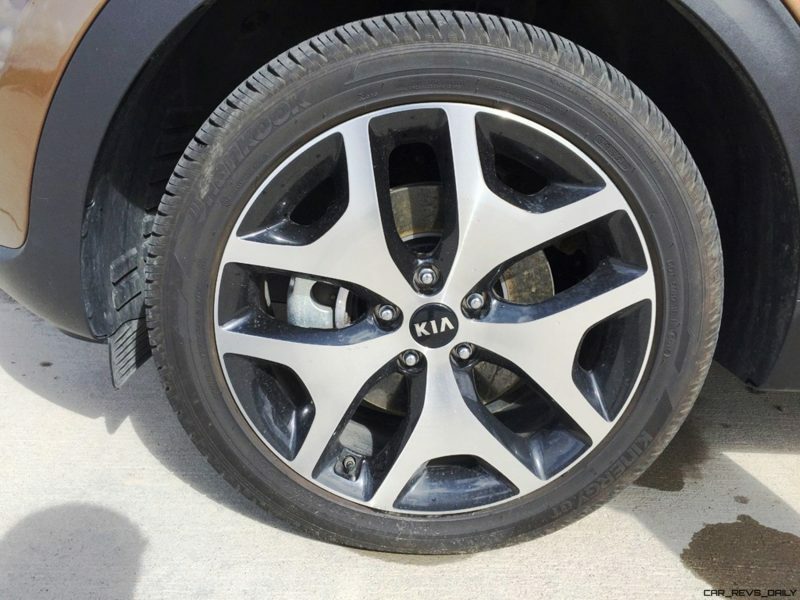 Even with heavy 19-inch wheels and tires, our tester had a supple ride and cornered with confidence and precision. 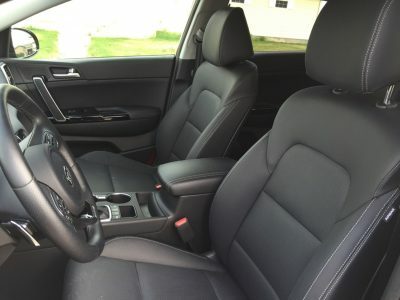 Maybe not a direct competitor to the Bavarian brand, or even as fun as Mazda’s CX-5, but overall it’s extremely livable and comfy. 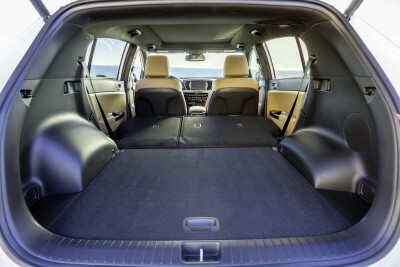 Adding to the comfort is well-stocked cabinet of safety gear, including Parking Assist, Blind Spot Detection System, Rear Cross Traffic Alert, Lane Departure Alert and Autonomous Emergency Braking. You feel well-looked after. So what’s not to like? 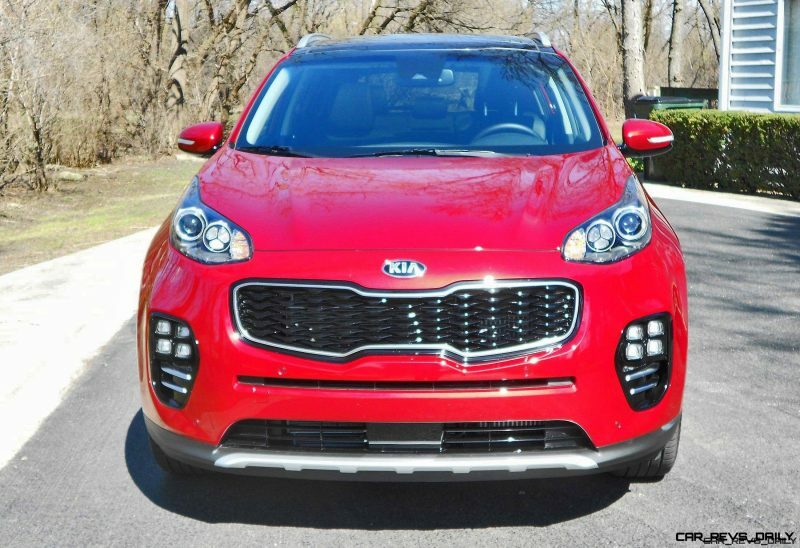 Well if you’re hoping to run down to your local Kia store and get that deep-dish discount pricing they used to have, that ship has sailed. The Korean brand now competes head-to-head with the best in the market place, and is priced accordingly. 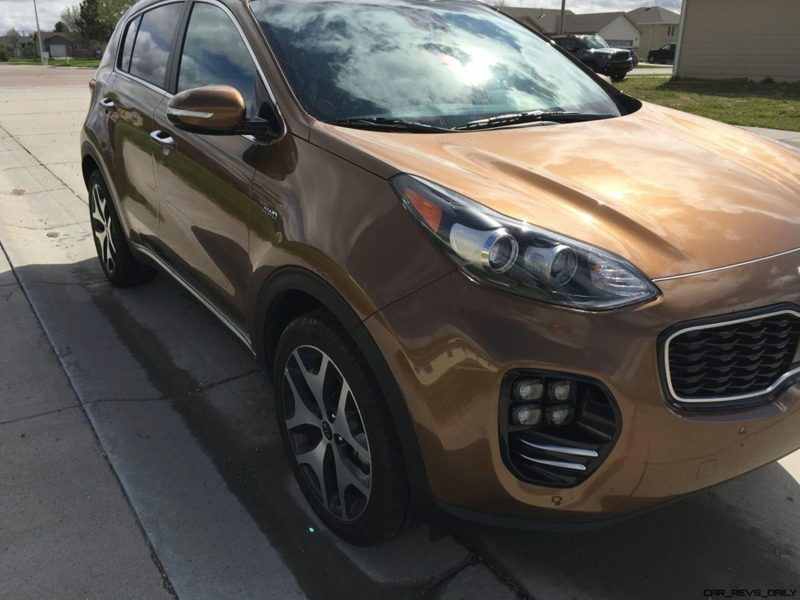 That said, you can get into a perfectly nice, front-drive Sportage LX for $22,900. But you’ll want to build from there. 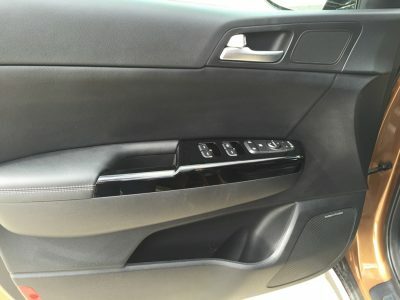 We’d probably at least bump up to the EX and enjoy goodies like Leather seats, push-button start with smart key and dual zone climate control. Yours for $25,500. 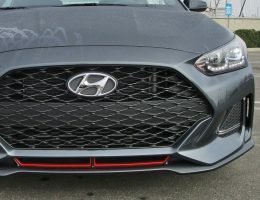 But if you want that forced-induction rush, you’ll have to spring for the SX Turbo that stickers at $32,500. 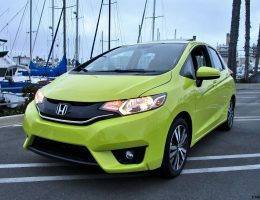 Add an additional $1,500 for all-wheel-drive. On the bright side, the SX is fully loaded, with no options available – or needed, really. And if that seems pricey, a couple of things may sway your decision. 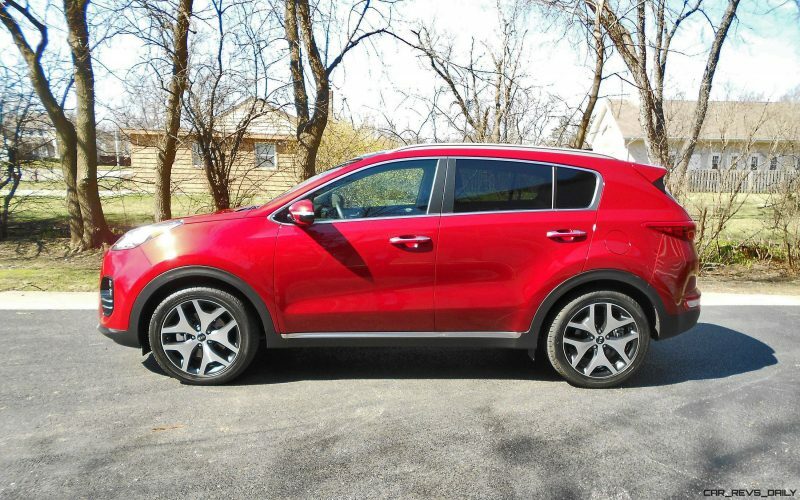 There’s KIA’s 10-year, 100,000 mile, limited powertrain warranty. 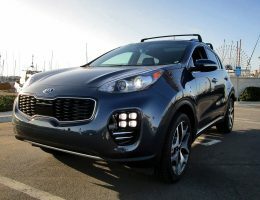 And the Sportage has been named a top safety pick, as well as named Highest Ranked Small SUV in Initial Quality by independent organizations. 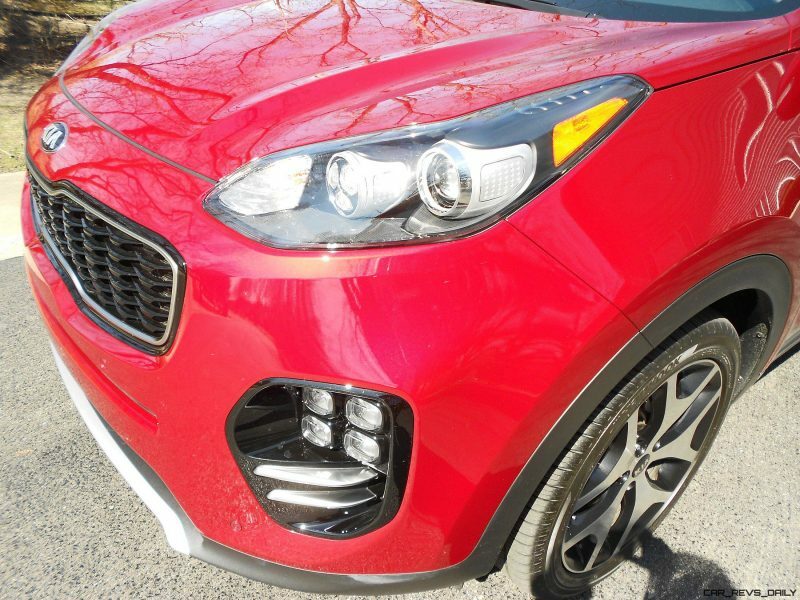 Overall, we think the Sportage offers a great blend of style, value and performance, with a distinctly European feel. But with the kind of reliability and low operating costs that typify the Asian brands. 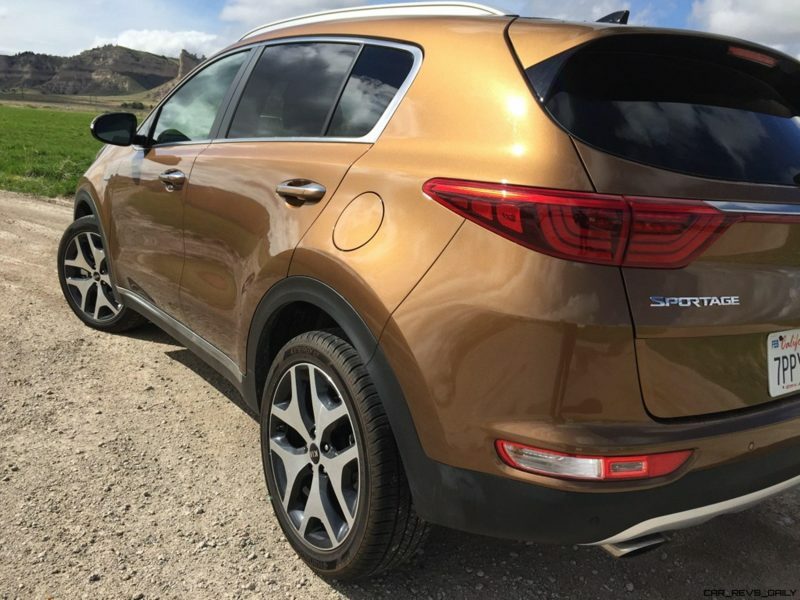 If you’re looking for a small SUV/Crossover, the vehicle we affectionately call the Korean Kayenne should be at the top of your list.